Opening on October 6, 1921 with four acts of vaudeville and a silent movie, “The Old Nest”, the Lincoln Theatre in Belleville soon became the premier theatre in all of southern Illinois. 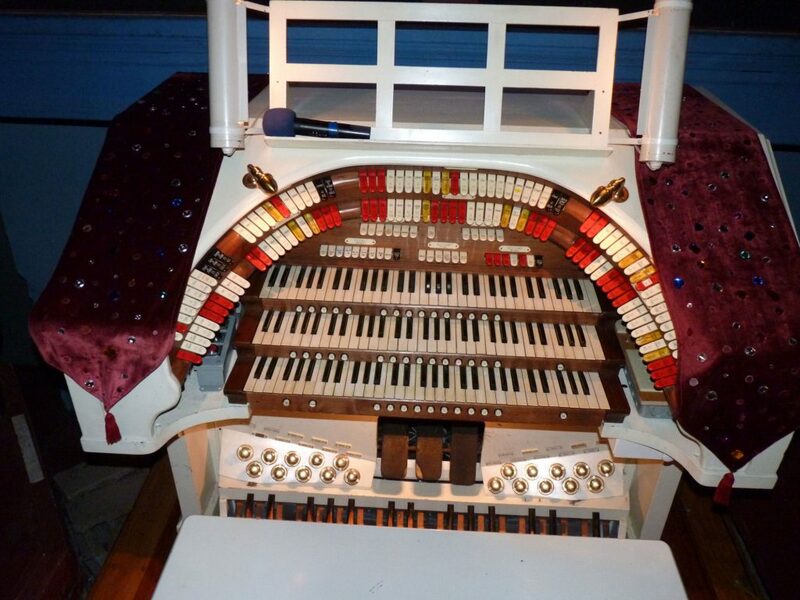 In 1927, a Wurlitzer organ was purchased for $30,000 and installed to replace the orchestra. This instrument was called a Unit Orchestra since it allowed full accompaniment to silent films while only having to pay one musician. In the 1950s Cinemascope arrived at the Lincoln and the lower part of the chandelier had to be removed because it caused a shadow on the new movie screen. Today the theatre can be seen much like it was in the 1920s. Richard Wright has lovingly restored it over the last 30 plus years. A dream of Richard’s was to once again have a theatre pipe organ in the Lincoln. He began collecting organs and other miscellaneous parts. Finally, in the early 1990s, the monumental task of restoring and rebuilding these parts into an outstanding instrument began. The organ’s dedication in October 1996 was the start of the theatre’s Diamond Jubilee year. Great care was taken in the selection of each rank of pipes for the organ so the sounds would blend well in the theatre. As of today, the organ has 16 ranks (voices) of pipes, which can be played from its three manuals (keyboards) or from the pedals. The organ is continually changing as more ranks of pipes and more sound effects are restored and added to the organ. Some additional voices are produced electronically. The organ today is certainly much larger than what was installed in 1927. Several CDs and cassette tapes that feature the organ are available in the lobby. The organ is featured in our special event shows as well as every Friday and Saturday before the feature film in the main auditorium.